Carolyn Enger, daughter of a mischling (partly Jewish) father, was raised as a Christian, but later reclaimed her Jewish heritage. 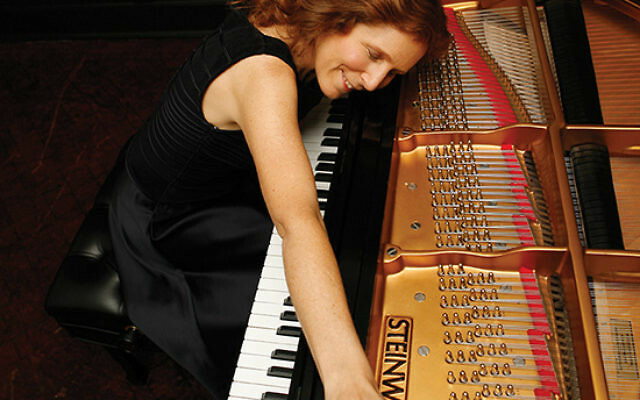 Pianist Carolyn Enger grew up attending Methodist Sunday school. It was only after the death of her grandfather that her sense of identity changed. Her father, named Horst Enger, was born in 1921 in Breslau, Germany (now Wroclaw, Poland), to a Christian father and a Jewish mother, who died just a month before his seventh birthday. His father remarried, this time to a Christian woman, and he was raised as a Protestant, a role he fully embraced. That helped Horst some, but not totally, when the Nazis came to power in the early 1930s. Under Hitler’s regime, the mischlinge were condemned to forced labor. Near the end of the war, the Nazis were believed to be planning their extermination. At the time, Horst was at a camp near Auschwitz. Luckily, when the rumble of Russian tanks could be heard, the guards ran away, and the prisoners also fled. After the war, Horst married another mischling, and in 1947, with their baby daughter Isola, they came to the United States, where Horst adopted the name Horace. Shortly after, the marriage ended in divorce. A few years later, he remarried. His new wife, Elaine, was of Scots/Irish background and had been an early childhood teacher at Isola’s school; she and Horst met on open school night. Carolyn was their first child, born in 1958. Although she was aware of her father’s Jewish heritage, she never expressed any real interest in it until her grandfather died. “When I was in my early 20s and a student at Molloy College in Rockville Centre, NY, my identification with Jewishness began to grow,” said Carolyn. “We were required to take nine credits of theology, and for three of those, I chose a course called ‘Introduction to Judaism.’ I was impressed with the teacher, a Reform rabbi named Paul Joseph, and I began to attend Friday night services at his temple. What she and one younger brother did find, however, was enough to convince them to become Jews by choice, a decision that greatly upset their father, who had lived through the Nazi nightmare and feared for his children’s safety. Through her family’s history, Carolyn will tell the mischlinge story to a central New Jersey audience Sunday afternoon, Feb. 26, at the Jewish Heritage Museum of Monmouth County in Freehold. The event, titled “Mischlinge Exposé,” will blend Carolyn’s narrative with her performance of music by German and Austrian classical composers with Jewish roots, including Felix Mendelssohn, Arnold Schoenberg, Alexander Zemlinsky, and Hanns Eisler. 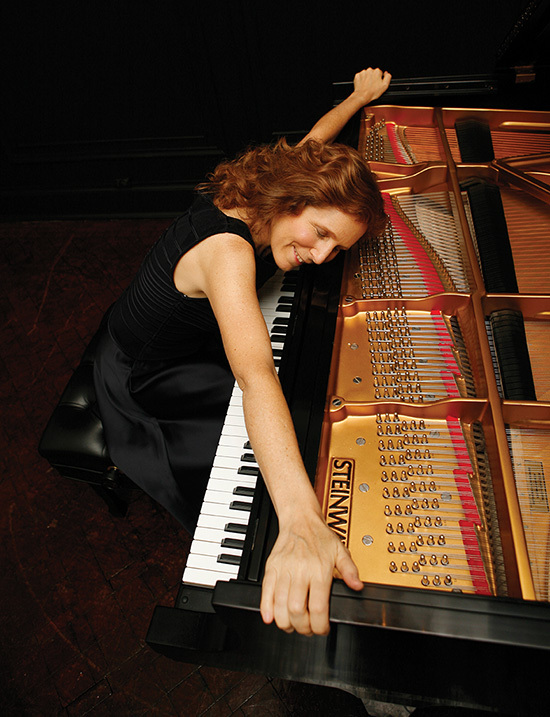 An accomplished pianist, Carolyn said she also has commissioned a new 20-minute piece from composer Bruce Adolphe, who has produced works for such artists as Itzhak Perlman, Yo-Yo Ma, and Joshua Bell. “Bruce’s composition will bring the emotional landscape of my family’s wartime experiences to life in the context of prewar German-Jewish culture,” said Carolyn.